Here at Design & Promote, we have been offering SEO services in Aurora for over 10 years. When we first got our start in the Digital Marketing solutions industry, Search Engine Optimization was and still is our bread and better. We have helped countless Aurora businesses increase the visibility of their websites, which in turn help them receive the traffic they needed to get conversions from individuals interested in their products and services. Today, we have evolved our methods to work with today’s leading search engines in order for companies to keep their websites compliant with the ever-changing demands of online users regarding the content they are looking for. If you wish to learn more about our digital marketing solutions like Search Engine Optimization or if you have any questions about our other online services such as website design, please give us a call today at 630-995-7109. You can also get in touch with us by completing and submitting the contact form located on this page and we will get back to you shortly. When you partner with the SEO team at Design & Promote, we work with you to understand your goals, your products and services, and what it is you want to be found for. Once we gather that information we conduct keyword research to find relevant and highly searched keywords that will help increase your website’s visibility. We help you create a Google My Business account and get you started with Google Analytics. After your keywords are chosen and approved by you, we run a baseline report to monitor progress. Next, we “touch up” your website to make sure everything that needs to be optimized for search, is optimized. Once these steps are completed, we begin and continue to expand your website’s content through landing pages. 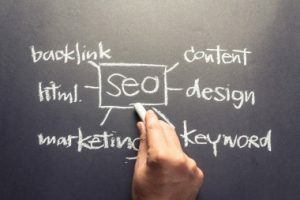 If you are looking to start an SEO strategy for your business or if you would like to learn more about our comprehensive SEO services in Aurora, call us today at 630-995-7109. Or you can simply fill out the contact form on this page and we will respond as soon as possible.